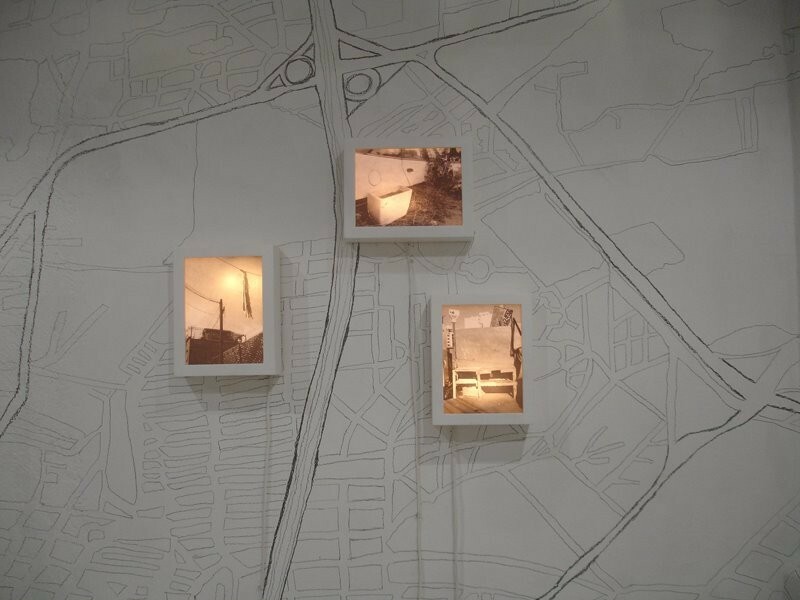 Solo exhibition at Suéter/ABO project room, Mexico City. Project realized in Suéter/ABO project room. July 2008. 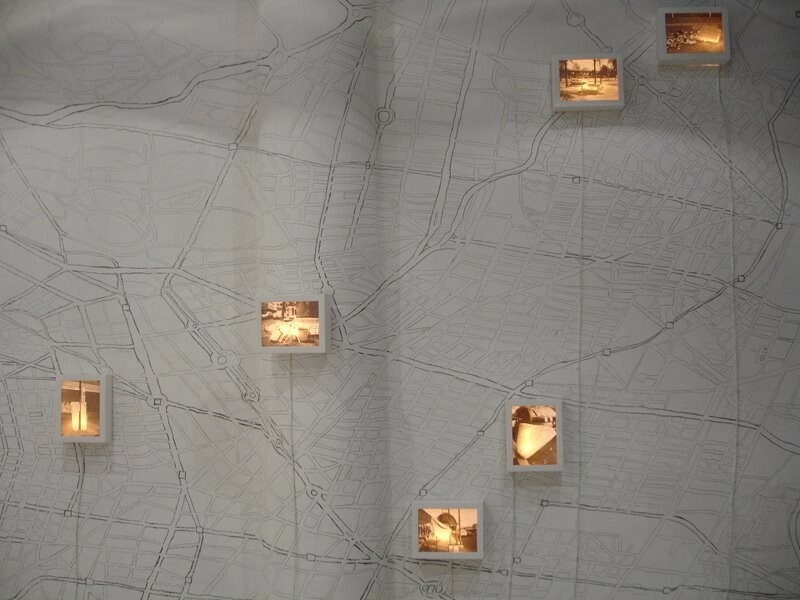 It is drawing of a Mexico City map over the walls, and lightboxes. 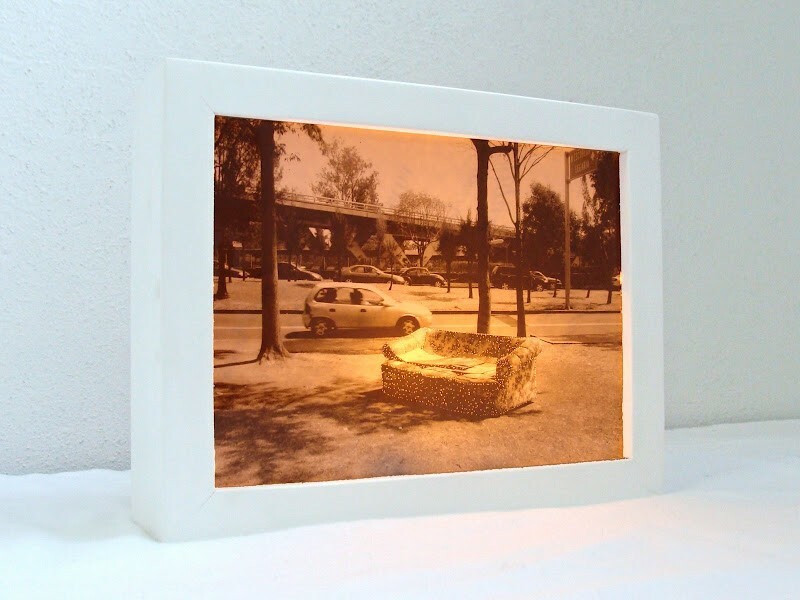 The photos are of objects or furniture found in the streets.